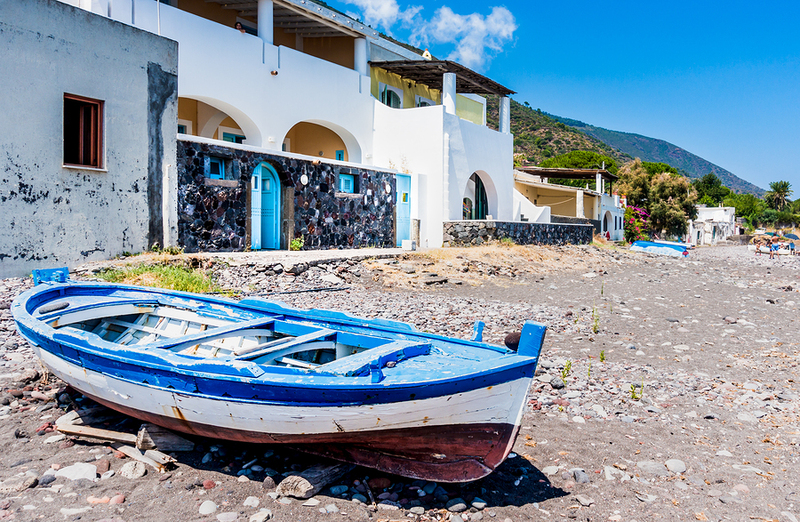 The “secret” Aeolian Islands of Italy are rarely heard of, and were more popular in Ancient times than today, and are a magical archipelago and a perfect location for a yacht charter, as these islands are far easier to see by private yacht. Not well known and not well visited, these are truly hidden secret islands. In fact, probably the easiest way to visit the Aeolian Islands is by yacht charter. And by yacht charter, you will be one of the few visitors and have a choice of anchorages and lovely isolated beaches to yourself. 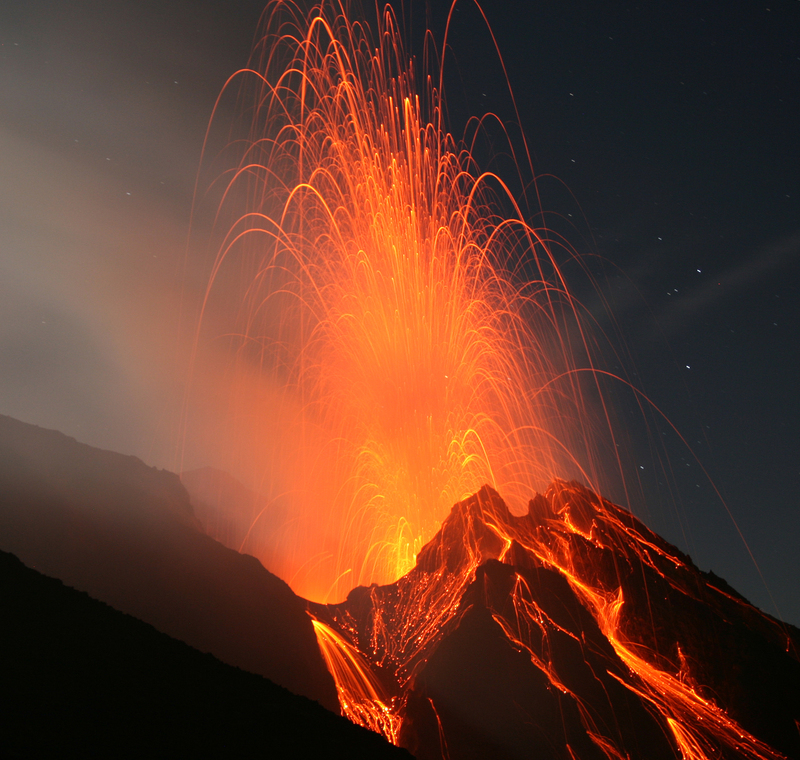 However, the highlight of the Aeolian Islands is the active volcano on Stromboli Islands, as where else can you anchor underneath an active volcano and watch active volcano “fireworks” while dining on deck. The Aeolian Islands sit right off the northeastern side of a neighboring, but larger Italian Island, the island of Sicily. The main islands of the Aeolian Islands are Lipari, Stromboli, Vulcano, Panarea, Basiluzzo, Salina, Filicudi, and Alicudi. Lipari is the most well known and probably the most well settled. There is a very good museum on Lipari, well worth visiting, that traces the history of civilization in the Aeolian Islands from the stone age. Panarea is the jet set island of the group, if one of the islands were to be singled out for that description and one of the other inhabited islands. 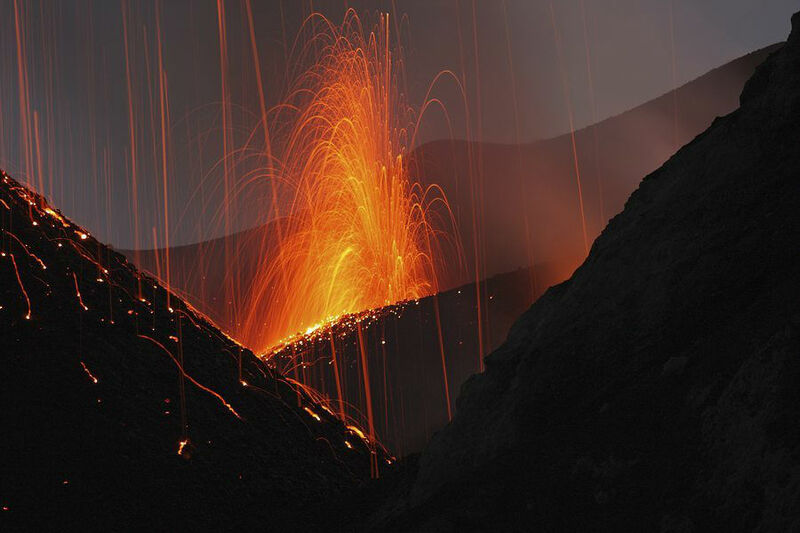 Stromboli has one of the most active volcanos in the world, which has been erupting for the last 2000 years. Climb to the crater and after working up an appetite have a pizza cooked in an oven heated by the volcano. Agriculture is predominant in these islands with the rich volcanic soil and restaurants commonly serve the catch of the day as the main menu item. Lipari Archeological Museum: Located on what was once the “Castello” rock of Lipari, the Museum covers the history of the Aeolian Islands and Lipari from the oldest found artifacts to today, including the volcanic origins of the islands. The Museum is divided into 6 sections: the pre-historic section, the epigraphic section, the classic section, the section of the minor islands, the volcanology section, and the paleontological section. The Museum is open every day during the summer, closing for a period for lunch. There is an outpost of the museum in Panarea Islands, which may or may not be open. Stromboli Volcano Hike: A strenuous hike uphill, done towards dusk to see the eruptions from the crater highlighted against the night sky. A 3 – 4 hour hike up the side of the volcano, this is a once in a life time hike on a very active volcano, that has been erupting for 2000 years. The hike down is very fast. Having a guide is recommended, plus sun coverage and plenty of water. 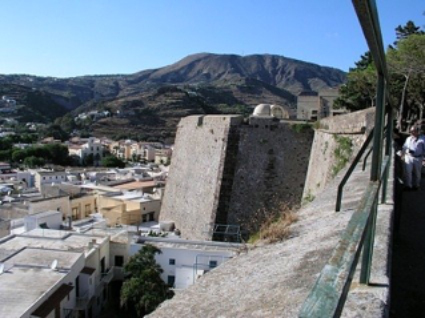 Lipari Castello: Located on a promontory between the two ports of Lipari Town on Lipari Island, this was a natural location for civilizations from 6000 BC to live; each civilization building on top of that of the last. Archeological excavations have uncovered Prehistoric civilization settlement, Greek settlement, Roman settlement, Byzantine, Arab, Norman, Swabian, Argonese, and Spanish period. In the same area is the Archeological museum, and the cathedral. Cattedrale di San Bartolomeo: On Lipari Island, the Cathedral sits on the promontory between the two island ports of Lipari Town. Started in the year 1000, by the Normans, the cathedral was finally finished in its present state in the 16th century, with a bell tower added in the second half of the 18th century. Global Volcanism Program: Located on Vulcano Island, and part of the Smithsonian Institute of America, National Museum of Natural History, this observatory is open to visitors while monitoring volcanic activity and providing information on volcanos and the formation of Vulcano Island. Capo Graziano: On Filicudi Island, a pre-historic site Bronze Age site 1500 BC with circular stone walls in which were huts for living. Pottery specific to this civilization was found on site. Punta Milazzese: On a promontory on the Island of Panarea are the remains of a village dating from 1300 BC. Remaining here are more than 20 circular stone walls within which the huts for living once stood. Within many of the huts were vases, and other objects which indicates perhaps a violent end to this civilization. Capo Graziano: Located on Filicudi Island and one of several ancient sites on this island of circular stone walls where huts were located from the Bronze Age. 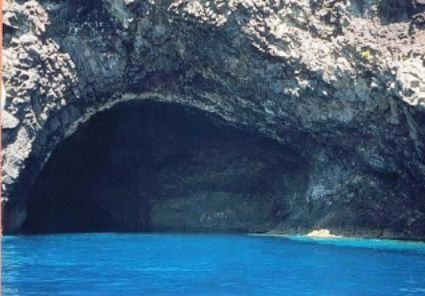 The Grotta del Bue Marino: A large cave on Filicudi Island which is 30 meters wide with an overhead of 20 meters, with wonderful light effects inside. Visit by ship’s tender. Once drawn into the magical world of these seven islands, each day is an unfolding new and fabulous experience. 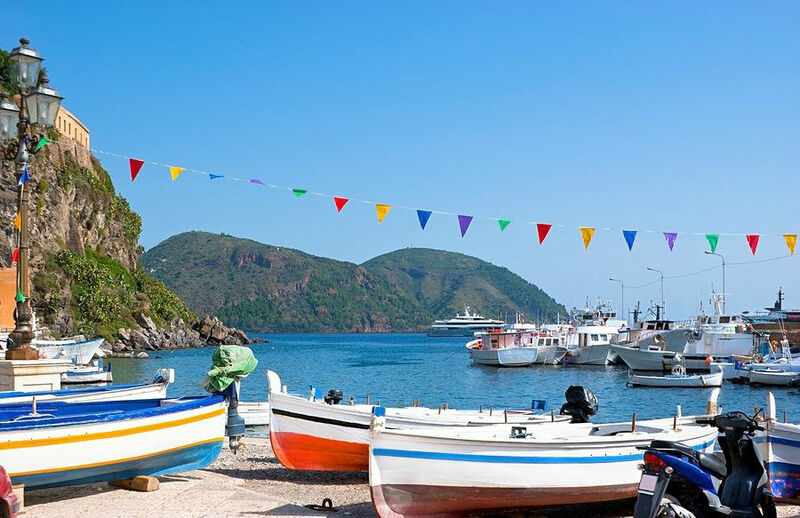 A lovely one week or longer yacht charter to explore the Aeolian Islands is a cruise through an unspoiled tranquil archipelago that has been beloved by visitors since Homeric times.